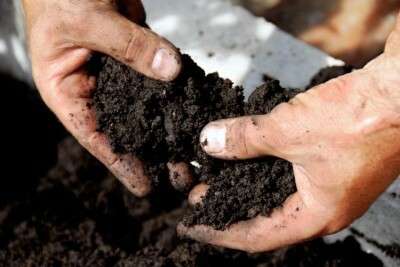 Soil Yourself Today - Legends Landscape Supply Inc. Triple mix soil is always a combination of some kind of top soil, compost and peat moss. You’ll hear the term triple mix often because it’s the most accurate way to describe this mixture that promotes healthy growth of all your landscape plants. Most garden supply companies create their own unique mixes using unique source materials they know will help plants thrive in the local ecosystem. We are no different. We think our triple mix is the most efficient and effective of any garden supplier in Burlington, Oakville, Milton, Hamilton or the surrounding area. Here’s what we’re made of. The first ingredient is a sandy soil. Including a loose sandy element in the soil is significantly better for drainage and will break down much faster than a clay-based soil. Clay is prone to natural compaction and can actually hinder the long-term flow of air, water and nutrients throughout the soil. When sandy soil is present, you can feel the grit between your fingers. So get dirty and test your soil. This is where our soil gets all the nutrients to keep your garden happy and healthy, and it’s what makes our triple mix perfect for anything that grows. The sandy soil that makes up the foundation of our triple mix allows the delicious nutrients from the compost mixture to penetrate throughout the entire body of soil. Our compost component is mixed and turned repeatedly over the course of at least one year before it is introduced into the body of our triple mix soil. Because it is so thoroughly developed, it can leech from the sandy soil of the triple mix into the deeper, existing soil of your yard or garden easily. The third piece of the puzzle is black loam and it’s mostly in there for colour. Black loam is naturally more acidic than most soil and is some of the darkest soil around. The black loam makes up the smallest percentage of the mixture, less than 10%. Black loam on its own isn’t the most nutritious food for your plants, but it keeps the triple mix a nice rich dark colour making colourful plants and flowers appear more beautiful and vibrant. We’ll deliver your load of triple mix directly to your door whenever you want. Contact us today and get ready to soil yourself repeatedly as you lay the foundation for your new garden this weekend.